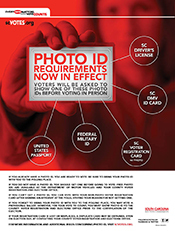 COLUMBIA, SC (February 3, 2016) - The State Election Commission wants voters to be aware of the procedures for voting by absentee ballot in the 2016 Presidential Preference Primaries. Voters may vote in only one party's Presidential Preference Primary. Visit your county elections office , complete an application, and cast your ballot. You may vote absentee in person up until 5:00 p.m. on the day before each primary. 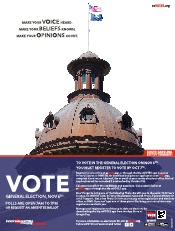 COLUMBIA, SC (May 19, 2016) - Absentee voting for the Statewide Primaries is underway at county elections offices throughout the state. As of today, approximately 22,000 absentee ballots have been issued statewide. In comparison, approximately 25,000 absentee ballots were cast in the 2012 Statewide Primaries (the last comparable statewide primary). In Person - Visit your county elections office, complete an application, and cast your ballot. You may vote absentee in person up until 5:00 p.m. on Monday, June 13. 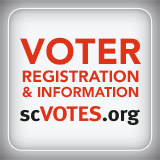 COLUMBIA, S.C. (January 26, 2016) - To help ensure voters are prepared for the upcoming Presidential Preference Primaries (PPPs), the State Election Commission wants to remind everyone of the upcoming voter registration deadline for the Democratic PPP and urge those already registered to update their information. TO VOTE IN THE DEMOCRATIC PPP, YOU MUST BE REGISTERED BY JANUARY 27. 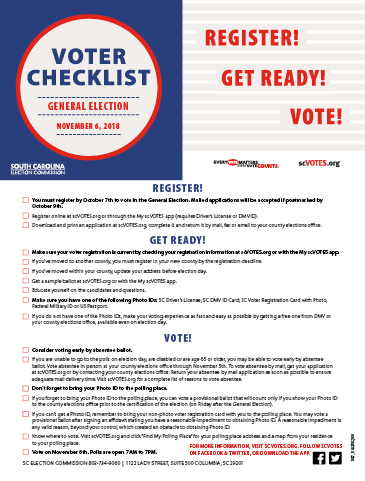 COLUMBIA, S.C. (January 19, 2016) - To help ensure voters are prepared for the upcoming Presidential Preference Primaries (PPPs), the State Election Commission wants to remind everyone of the upcoming voter registration deadlines and urge those already registered to update their information. TO VOTE IN THE REPUBLICAN PPP, YOU MUST BE REGISTERED BY JANUARY 20. COLUMBIA, SC (October 14, 2015) - The State Election Commission is moving to 1122 Lady Street, Suite 500, Columbia, SC, 29201. Operations will begin at the new location on Monday, October 26. Only the street address of the agency will change. The mailing address, telephone numbers, fax number, and email addresses will remain the same. 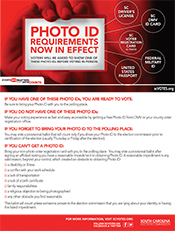 COLUMBIA, S.C. (September 18, 2015) - The South Carolina State Election Commission, along with Americans across the nation, will be celebrating National Voter Registration Day (NVRD) on Tuesday, September 22, 2015. This is a nationwide effort to register voters before upcoming elections in November. 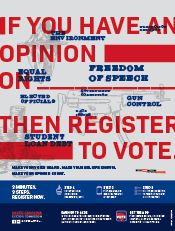 Celebrate democracy in America by encouraging individuals to exercise one of our most basic rights: the right to vote!